At the recent Vanguard Network Day there were several requests to hold our 4 Day Action Learning Masterclass in Wales. 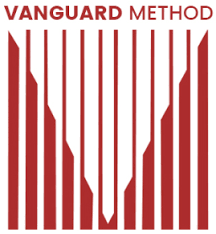 The course is intended to help people put the Vanguard Method into practice. Participants spend 1 day a week in the classroom learning the theory and practice behind the Method. They then spend 1 day a week in their own organisation putting the Method into practical application. The next classroom session is used to debrief the learning as a group. By the end of the 4 weeks, participants are expected to have created a system picture of their system, which they can choose to take forward to redesign. Participants will be expected to attend all 4 dates, and dedicate an additional day between each session in their own organisation, to put the learning into practice. To apply, please send your name, organisation and number of places to Janice Mack: [email protected], 01280 822255. Please note that application does not guarantee a place, as places are limited, and allocation of places will be confirmed following the closing date for applications on the 14th December 2018. Do you have an event of your own that you want to tell the co-production community about? Submit the details so we can display it on the calendar and spread the word through the newsletter. Click here for the event details form. Website by / Datblygwr a gwesteiwr: beamazingtoday.